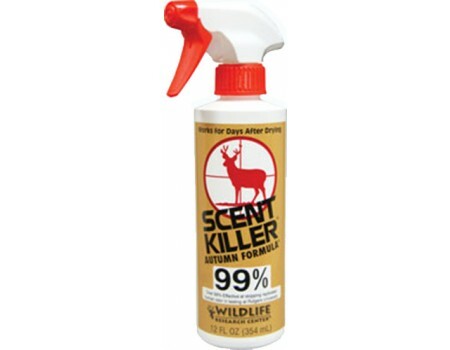 Wildlife Scent Odor Eliminator with hunt dry technology for hunting outerwear and boot bottoms. Engineered to fight human odor while adding a subtle scent of the woods and fields during the fall. The result is a very mild masking scent effect along with high-powered scent elimination qualities. A heavy application works for days, it is 99% effective at stopping replicated human odor 10 days after drying. Works great on Backpacks, knapsacks, dry bags and other all purpose sport bags. High Output Sprayers- will even spray upside down!